“It’s Show Time Again” at the NEC Birmingham. Tuesday October 16th -21st 2018 inclusive – Halls 6-12 and 17-20. Free on site parking and complimentary bus service to and from the car parks to the exhibition halls. Organised by NCC Events a division of the NCC, The National Caravan Council. The October Motorhome and Caravan Show is very exciting as all the approved NCC manufacturers exhibit their new model line ups for 2019. The Motorhome and Caravan Nec Show is a very professional well organised national show, attended by all the approved and popular manufacturers and suppliers of Motorhomes and Caravans available throughout the UK Caravan industry. Accessory shops, awning displays, tents, trailer tents, glamping, camping, hiking, and much more are located within the halls. Uk and European campsite promotional booths are situated amongst the shopping village and a children’s entertainment area. Informative talks from caravanning experts and live cooking demonstrations on the professional stage auditorium and even towing experience courses. All the big names in Caravan parts suppliers industry, from Alko to Zig you will find them all here in the exhibition halls at The Motorhome and Caravan Show 2018. Held in Halls 6-12 and 17-20. Check out this link to the NEC Birmingham for opening times and ticket sales. The first day of the show is Motorhome and Caravan Club day with special events and activities organised by the club, discount tickets are available to club members, please click the following link to see more. Disabled facilities include Close parking, mobility scooter hire and disabled toilets in all halls. Click here for a link to information from the NEC Exhibition Centre about their disability facilities and services. It’s a fantastic Day or days out with like minded people revelling in the new designs, layouts and technology, latest gadgets or the newest innovative accessory for your new second home. Special deals, special limited editions, creative designs you name it and you can find it here. Take your time and maybe stay over for a second day, then why not visit Birmingham’s “Bullring” for some extra retail therapy or a trip to the canal district to see the historic canal network with narrow boat trips around the city. Take a look at the visit birmingham website for lots of fun adventures. There is on site camping through the Motorhome and Caravan Club follow this link for more information. Or stay on the NEC site at one of the many luxury hotels. Crowne Plaza was my favourite, but there are other luxury hotels on site like the Hilton or Holiday Inn and the new Resort World and Casino, this is also an amazing night time fun experience with restaurants, bars, cinemas and a fitness suite or take in a Show at the NEC Arena. click here for NEC information. If you are going to the NEC to buy a caravan the do you research first. 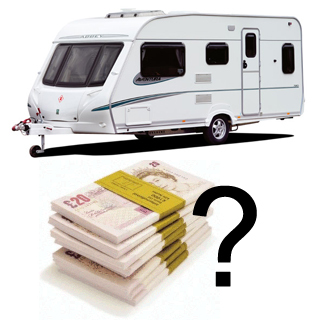 Make a check list of what you want from your new caravan. Layout is high on the list and then the manufacturers who produce your required layout. Specifications of equipment level. Weight, Can your car tow it safely? click here to check, will the body length, width and height fit in to your storage area? So much to think about but do your homework comprehensively at home first and make a short list and your purchase decision will be much easier at the show. Try to support your local Caravan Dealer my moto was “The best deal is the local deal”. As a past Caravan Dealer for over 35 years it was always easier to provide a good aftersales service to my local customers, this proved to be more difficult with a customer many miles away. Dont always be lead by price alone. Quote –“The bitterness of poor quality remains long after the sweetness of low price is forgotten” – Benjamin Franklin. The atmosphere in the NEC Show Halls is electric, I loved every second of every show every year for the 15 years that I exhibited. If you would like any information about accommodation or eating out please send me a message through the website or on our Facebook page How2caravan and why not like the page and be part of our social media community. Please read some of our previous blog posts on this website How2caravan.com for more information on buying your new caravan. Growing up around the family caravan and motorhome business, Paul has gathered a wealth knowledge of the industry. This blog was created to help share that knowledge with new and experienced caravanners alike.